The Italian Riviera remains one of Italy's most glamorous and picturesque coastlines with a perfect mix of sleepy hamlets and chic seaside towns. North-westerly Liguria lines up some of the most astonishing views in Italy. The Cinque Terre – a quintet of colourful fishing villages – is popular with hikers and day-trippers. Precipitous vineyards cloak the hills behind (the local dry white is a must-try). 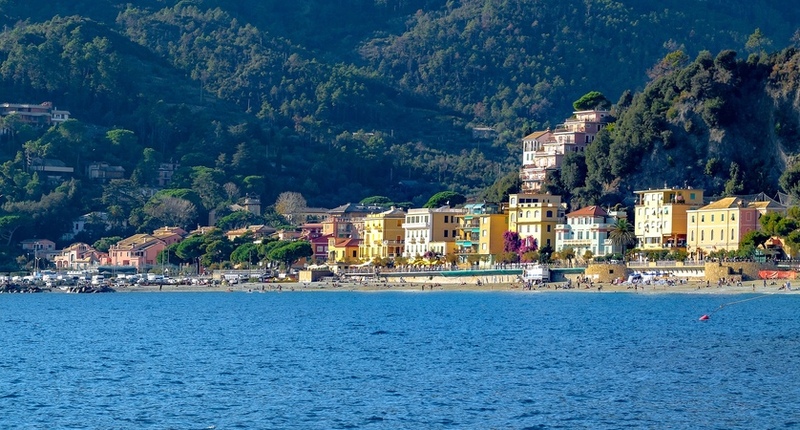 The chic village of Portofino shares this coastline, too. Satsuma and ochre houses overlook a harbour flecked with super-yachts, while artisan gelato parlours stick close to the water. 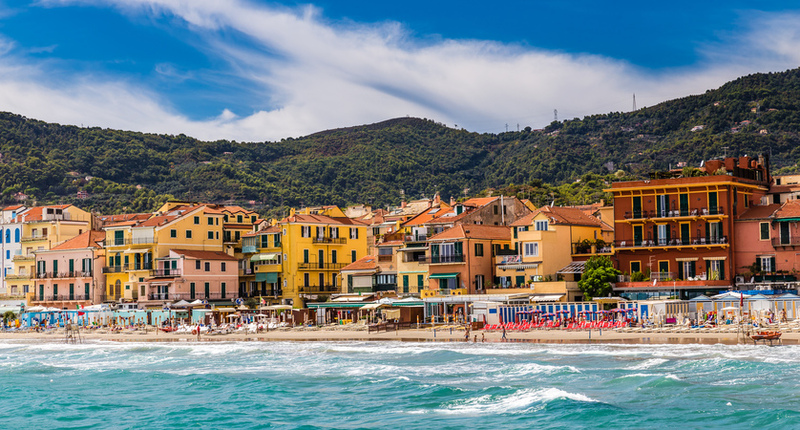 Liguria has one more ace up its sleeve – it’s home to the most Blue Flag beaches in Italy. Expect petite slips of white-gold sand and Caribbean-clear water. This sleepy beach town has an authentic charm and maze-like back streets with pastel-coloured houses, family-run restaurants and a wealth of art galleries dedicated to the artists who once lived here. It also boasts one of the best stretches of beach in the area. This sleepy coastal town is the perfect choice for those wanting a relaxing escape. Wander along the tree-lined promenade, relax on the wide sandy beaches or explore the characterful town centre. Monterosso is the most westerly village of the Cinque Terre, with a large beach, quaint centre and easy access to the four other cliff side villages that make up the UNESCO World Heritage Site. This is one of Liguria’s most exclusive towns. Boutiques and cafés gather round the yacht-filled marina and brightly-coloured houses make up the picturesque landscapes. Only a short journey from its famous neighbour Cinque Terre, Portovenere is a small medieval town in the beautiful Gulf of The Poets, colourful building align the harbour while its narrow cobble streets climb into its historic centre. 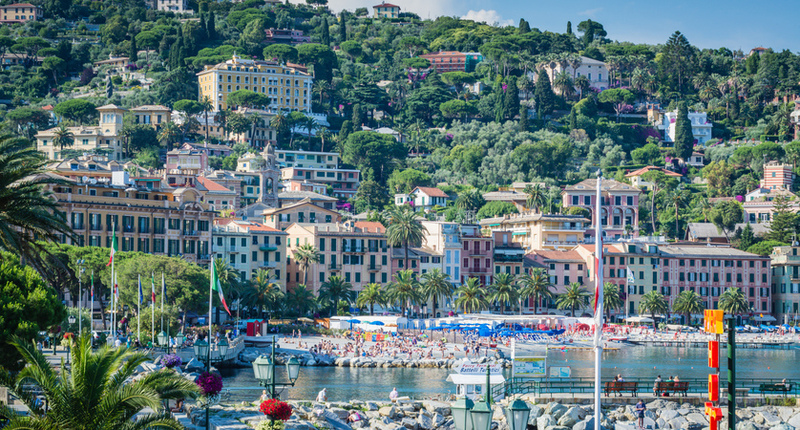 Rapallo boasts a 16th Century castle, palm-fringed beach and historic lanes with great dining options. It’s well placed to visit Portofino and the Cinque Terre, too. Sanremo epitomises the glamour of the Italian Riviera with plenty of dining options, live music and lively casinos. Expect a picture-perfect promenade, elegant hotels and a laid-back atmosphere at this classic resort on the Riviera. This little resort may be Liguria’s best-kept secret. 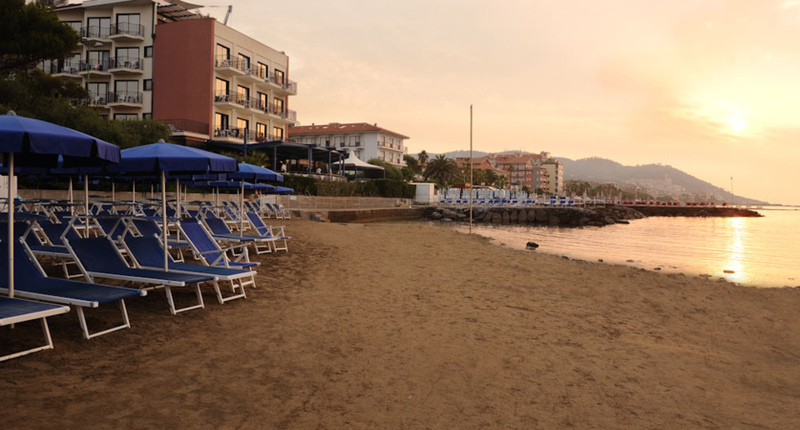 Pine forests lead onto a sandy crescent-shaped beach and the town enjoys an authentic atmosphere. This port city is Liguria’s capital, as well as Italy’s largest sea port, and offers plenty for visitors to do. Explore the historic centre with its winding alleyways and boutique stores, stop for a seafood lunch at the harbour and visit Europe’s largest aquarium. Cinque Terre is the most visited site in Liguria and it’s easy to see how these five clifftop villages draw in so many visitors. The villages are all with a few miles of each other and are linked by coastal walks or train, making it easy to visit them all within a day. 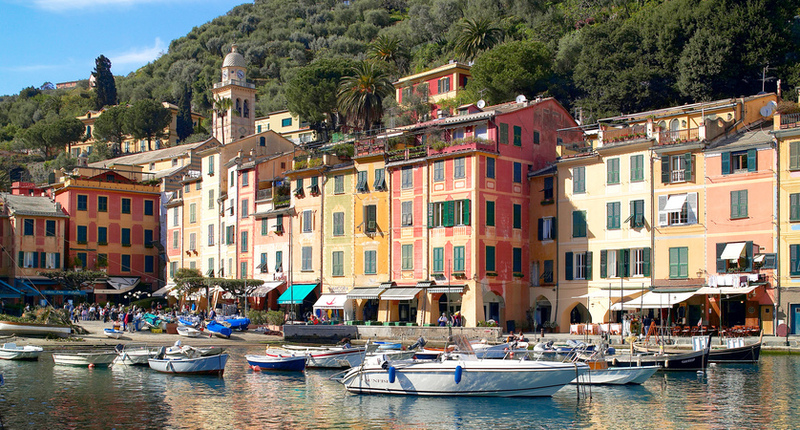 Portofino is a must-see when you’re in Liguria. This cliff side town lines up colourful houses along it’s jet-set harbour with plenty of cafés in which to spend to afternoon watching the super-yachts moor up. If you feel like stretching your legs, you’ll find plenty of designer boutiques for a spot of window shopping. This coastal town has a glamorous reputation to uphold and you can expect to find yachts moored in front of trendy bars along the harbour and one of the oldest casinos in Italy. Head inland though and you’ll be treated to a more authentic scene of cobbled streets and hidden trattorias serving local delicacies. Follow the Ligurian Riviera North-West and you’ll end up in France – the chic seaside resort of Nice is only a couple of hours away from Sanremo and the journey there is spectacular, with the coastal train offering dramatic sea views at almost every bend.